9" x 4" x 4": 1.6 KW. 10" x 5" x 5": 2.0 K.W. 18" x 9" x 9": 6.0 K.W. With the rich indulgent with the clients, we are engaged in fulfilling the requirements of them by providing Laboratory Muffle Furnace. 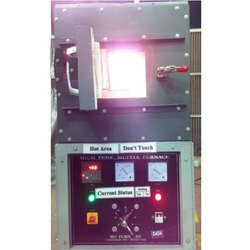 - The Laboratory Muffle Furnace manufactured by us is used for laboratory testing. We are offering Laboratory Muffle Furnace to our client. 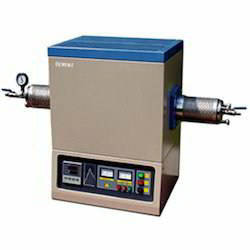 We are an unparalleled name in offering a wide range of Laboratory Furnace Machine. Glass Agencies EROSE are manufacturer of Muffle Furnace. Light weight with ceramic fibre wool installation in place of refractory bricks.Working temperature 1150C.Maximum temp. 1200C.Fitted with energy regulator.CI.AL thermocouple with prometer.Heeating elements are made up of kanthal wire.Workable on 220V AC 50Hz Single Plase.